Souvenir creamer from Minnehaha Falls, Watkins Glen, New York, early 1900's. 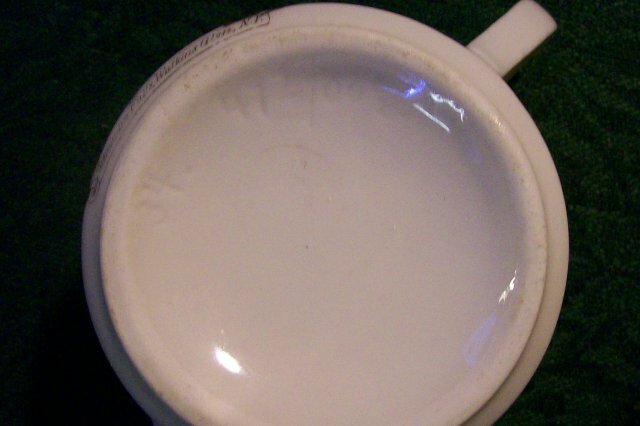 Partial red circle mark from Germany. Measures 2 3/8"h x 2 7/8"d. No chips or cracks, nice condition. Inglenook Antiques...Established 1989. 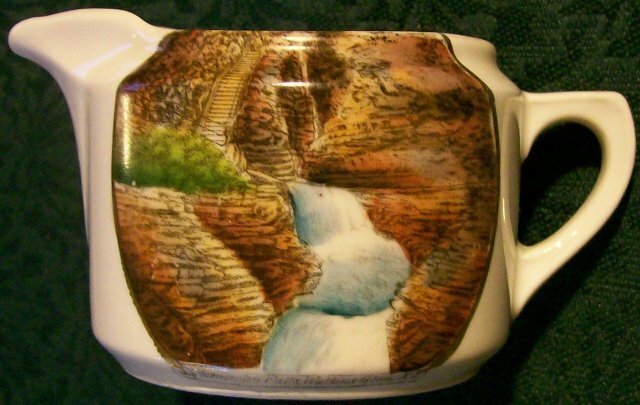 Items Similar To "Minnehaha Falls Souvenir Ceramic Creamer Watkins Glen NY 2 3/8"H ..."